Goa is blessed with some of the most amazing landmarks that should not be missed. Goa is known for its scenic beauty and beautiful beaches. Sightseeing opportunities are plenty in Goa. The state has many things to entertain its tourists with like adventure activities, beautiful beaches, rocking nightlife and delicious Goan food. If you are panning holidays in Goa and don’t know what all place to visit in Goa, the following account will assist you. 1. 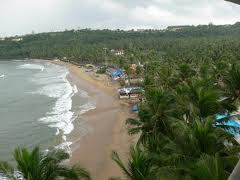 Beaches in Goa: Goa is famous for its beautiful beaches. Though the state has many beaches and it’s not possible to visit each and every beaches of Goa, however, tourists should not miss the famous beaches such as Anjuna beach, Baga beach and Benaullim beach. 2. Temples in Goa: Temples of Goa are also very popular. The important temples that should not be missed on the trip to Goa are Shri Bhagwati temple, Devaki Krishna Temple, Shri Datta Mandir, Shri Changreshwar etc. 3. Churches in Goa: Churches are the main attraction of Goa that should not be missed. Some of the famous churches of Goa are St. Francis Assisi, St. Catherine, Basilica of Bom Jesus, Church of Lady Roasary, Church of St. Cajetan, Church of Holy Spirit, Church of Reis Magos and Church of St. Monica. After going through the above description and knowing well about the places you have to visit and what to see in Goa, you must be eager to see all these places and the beauty of Goa.